Well done! Looks beautiful. But maybe the face should have more contrast in it, because now all the attention is drawn to the hair. Awesome, the shading is excellent, very well done!!! 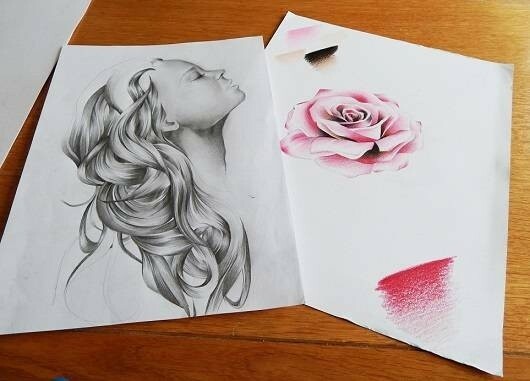 amazing shading on the girl's hair and the flower was colored so well that it almost looks real. It's amazing how you success a draw with just one color!